In the United States alone, approximately 2 million people will contract a Hospital Acquired Infection (HAI) and 100,000 people will die each year. That is more than the two leading cancers combined. The economic burden is equally startling; the cost to the US economy is close to $40 billion dollars. MINIMAL developed and commercialized a smart, UV-C light-based disinfection system that eradicates “superbugs” at the cellular level. 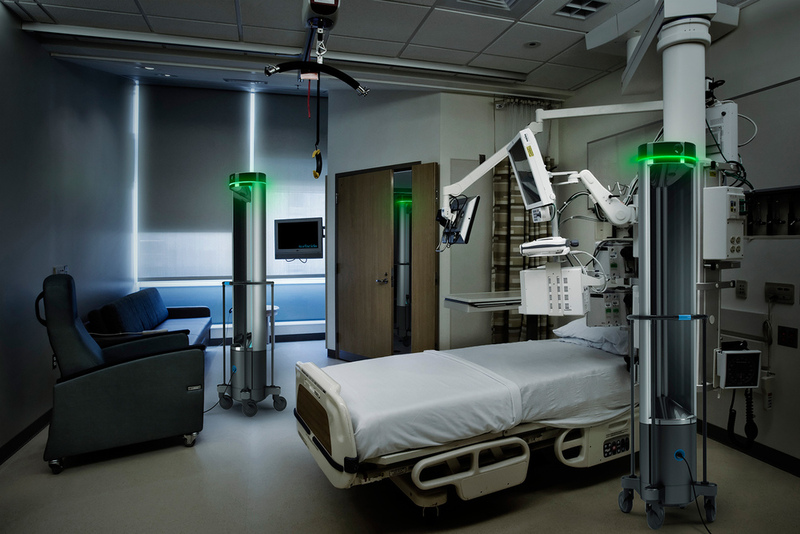 The Surfacide® Helios™ System solves existing UV-C technology challenges by implementing multiple UV-C light emitting towers in hospitals, eliminating shadows in patient environments and reducing proximity to every high-touch surface. A paradigm shift in UV-C hard surface disinfection, Surfacide is changing the way technology is used in healthcare by providing better efficacy in less time, improved patient outcomes, and significant reductions in health provider costs. In addition to the product design and engineering, MINIMAL supported the experience, interaction and brand identity for Surfacide. When admitted to a hospital, you have a 5% chance of contracting an Hospital Acquired Infection (HAI). In the United States alone, approximately 2 million people will contract a Hospital Acquired Infection, and nearly 100,000 people will die each year. That is more than the two leading cancers combined. To date, “state of the art” disinfection has been limited to wiping high-transmission surfaces with bleach. 50% of high touch surfaces are not cleaned in terminal cleaning in healthcare and hospital settings. Less time, no shadows, eliminating human error. 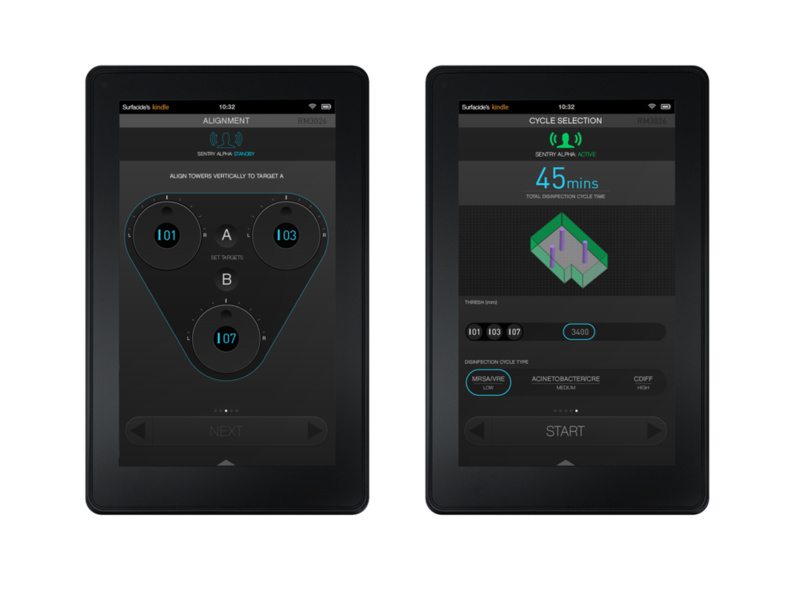 MINIMAL developed an intuitive platform to control the towers. The app allows the technician to calibrate disinfection cycles based on the specifics of the room and the bacteria responsible for infections.